My personal spiritual awakening process has spanned many years and taken me to unexpected places. I sincerely feel that I've ‘awakened' more than once in my life. Each time, it took me deeper and gave me a bigger picture of life. Your spiritual awakening process will not unfold in a structured order. In fact, part of the spiritual awakening experience is to let go of linear thinking, and structure of many kinds, including the structure of time itself (but that's another topic). Here's a short description of where my own spiritual awakening process has lead me, in the general order I experienced them (there were also overlaps and returns). You may be here to experience spiritual awakening in one or two of these areas. Or like me, you may be here to explore them all. Despite what some people might say, I sincerely believe that there's no “one right way” to awaken. This part of the spiritual awakening process is about questioning with your mind, and seeking answers. It's about obtaining freedom of thought. Also, accepting full responsibility for your life. It may start by something not feeling right or true to you. It may be that you witness something that doesn't seem fair to you or logical. You may simply feel restless. Or disbelieving and rebellious! However you experience your mind awakening, it prompts you to question and seek. You may study history. Psychology, emotional intelligence. You begin to challenge the teachings you grew up with. In my 20's, I thought “work hard, get rewarded”. Instead, I worked hard, and faced layoffs and bankruptcies. I thought: “be a good person” to “be happy”. But it didn't turn out this way. So this sent me on a journey of questioning and it lead: to freedom. spiritual awakening process is often catalyzed by heartbreaks or losses. These catalysts have a purpose: to open your heart and prompt you to seek. There's a reason for this. Your mind is most powerful when your heart is involved. Your heart is most powerful, when balanced with your mind. This balance of the masculine and feminine is what's most powerful now. My own heart awakening began in my mid-20's and I resisted for more than a decade. In my late 30's, I surrendered. I write about heart awakening now, because I realize how important the heart is in the ascension process. I've spent some time researching ascension and I believe it exists (but it's not fire and brimstone). This stage can be confusing and painful, expecially for someone who's used to being competent and logical. One person who was very helpful along the way for me when I was confused was Cynthia Barlow's Trust Program (she mostly works with corporate now, but runs the Trust Program a few times a year – ask her). As my heart awakening deepened, I also worked with intuitive Charmayne Kilcup: she's the real deal. One area of my spiritual awakening process involved illness. In my late 30's, I had a number of acute abdominal attacks over 18 months which lead to surgery. My body awakening was a journey in itself! During this part of my spiritual awakening process, allopathic medicine wasn't fully meeting my needs, so I began to seek. I learned more about how our medical system suppress innovation, by reading alternative health sites like Mercola.com and The Burzynski Clinic. I also began to explore how I processed emotion which lead me to energy medicine. Here are two of the folks I worked with (I've worked with quite a few). You can read about the modalities they work with and Google to find someone in your area, if it resonates with you. So for some, illness may be part of their spiritual awakening process. If someone dies from an illness, it may be because the energy they're holding cannot be transformed in any other way in this lifetime. The dying process is a powerful catalyst: do not underestimate it's power. It opens the heart of the person who's experiencing the illness, and it also those around them. A close childhood friend of mine died in 2014 and I am breathless at what she did with her last two years of life: Read about JenUnplugged: the UpLife Project. During my spiritual awakening process, I had what I call a universal awakening. This was kicked-off by an intense interest in (first) karma and past lives and then broadened into source energy, 2012, and The Shift in humanity's consciousness. Early on, I passionately researched karmic astrology, clairvoyant Edgar Cayce, and read books such as the Source Field Investigations. A lot of what I read about consciousness and energy was scientific and complex. Fascinating, but it spoke to my mind, but not my heart. At that time. I resolved to write about the Heart Side of the spiritual awakening process, in plain English, which is what I do for the benefits and financial services industries in Canada as a plain language consultant. As this part of my awakening expanded (and it's still expanding!) I began to tap into a new source of intuition and creativity within myself. I consciously see everyone and everything around me as a living matrix: a reflection of my soul and the collective (i.e. you!). I live and breathe the universal perspective every day. This part of my spiritual awakening process was the hardest for me and I find it difficult to write about. It nudged me into a private mourning process that lasted almost a year. You may not agree with where I went to investigate and that's fine. However, all I say to you is, if you're drawn: investigate. I write about this with a bit of trepidation, as I've never mentioned this before in my writing online and have not even discussed it with close friends. I didn't want to be influenced by anything other than my own heart during this part of my spiritual awakening process, so I have told no one about this – until now. If you're here on this page reading, then perhaps there's something here for you. I encourage you to pay attention where your heart leads you and follow your hunches. You'll go where you need to go. After the financial collapse in 2008, I began to quietly research. The bail-outs didn't make sense to me. The financial fallout was insane. I didn't trust what was being said about it, so I wanted to know more for myself. So this part of my spiritual awakening process lead me to literally dozens of sources, and hundreds of hours of reading, surfing and study. Here's a partial list. I started by reading books about Bernie Madoff, finance and economics. Most recently, I read the upsetting and compelling No One Would Listen, by Madoff whistleblower Harry Markopolos. Through web search, I found the movie Thrive which explores what's happening with the world economically and around the energy crisis. Thrive is accessible movie and a great place to start. But it doesn't give the whole picture, so if you suspect this area is part of your own spiritual awakening process, don't stop there. Or stop but do it consciously. I was riveted by Burzynski Movie during this time which is about a scientist whose research is more than 10 years ahead of the entire cancer industry – and how the establishment reacted (predictably: wanted to shut him down). Do not believe the trolls online who dismiss Burzynski: do your own research. The U.S. Supreme Court could not dismiss the validity of his science and the video testimonials and patient groups are irrefutable, in my opinion. I continued my spiritual awakening process, tumbling further down the rabbit hole. I then found the free, book-length article Financial Tyranny by David Wilcock, creator of the site Divine Cosmos and a whole new layer opened up. But even with David's work, hold it lightly. For he's learning all the time, too. Generally, I like David Wilcock, because he has a scientific mind, but he also gets the heart piece. He has an interesting relationship with Edgar Cayce, who I've been drawn to. He sees the big picture: from science and consciousness to karma and ascension, economics and politics. I don't know David. But my impression of him (after reading his books, his online work, and spending probably 80 hours watching his videos) is that he is honest and real. Not perfect, but earnest and on a mission. Put him on your explore list. But don't stop there. 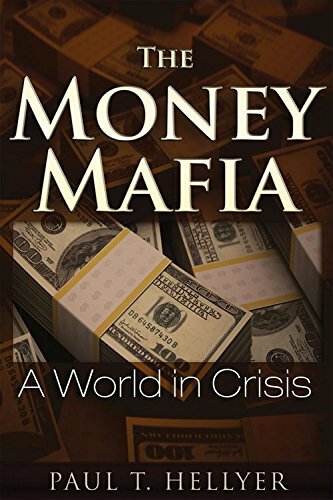 Here's another good one for you: Paul Hellyer's book The Money Mafia. This type of political seeking was unlike me and very unexpected. In fact, in the early part of my spiritual awakening process, I was completely repulsed by any topics related to government, politics and large institutions including the church. My repulsion was visceral and intuitive, even though I've never been (directly) harmed by these institutions. I have come to sincerely believe that for some people, a political awakening is part of their personal spiritual awakening process. If you're drawn to seek, keep seeking because there's a lot of misinformation out there. I've been around the bend a few times and continue to learn. If you want a supportive (reality plus heart) community while you discern, I can personally recommend Solari, Catherine Austin-Fitts community. Unless your spiritual awakening experience sparks a fire in your belly to be a revolutionary, politician or activist, this political truth-seeking world is not a good vibe to hang out in all the time. Not only that, but there are not only rabbit holes to fall into, but vast rabbit warrens! Not only that, but disinfo, back-biting and contradictions galore. Everyone claims to know the truth. But the conclusion I've come to is that while I can keep learning and certainly KNOW MORE by reviewing this type of material, I will NEVER know the truth. The truth is what's around me. So once you feel that you're at the bottom of the rabbit hole (or you've gone as far as you need to go) you may simply choose to let it go and return to your life. Always, appreciate what's in front of you. It's your appreciation of what you have combined with your knowing and loving acceptance of what really is (the dark and the light), that's most powerful. Nuff said. I believe that there is no end to the spiritual awakening process. At least, not until you return to Source, or to Oneness which for most souls, takes millions of years (described in our version of time). However, take heart: the uncomfortable spiritual awakening signs you experience will lesson in intensity in time, as you listen and surrender to the changes inside yourself. Amen to that. Sending you much love on your journey. I hope you enjoyed my take on the spiritual awakening process.